NATO on Thursday officially kicked off Trident Juncture, its largest exercise in years. 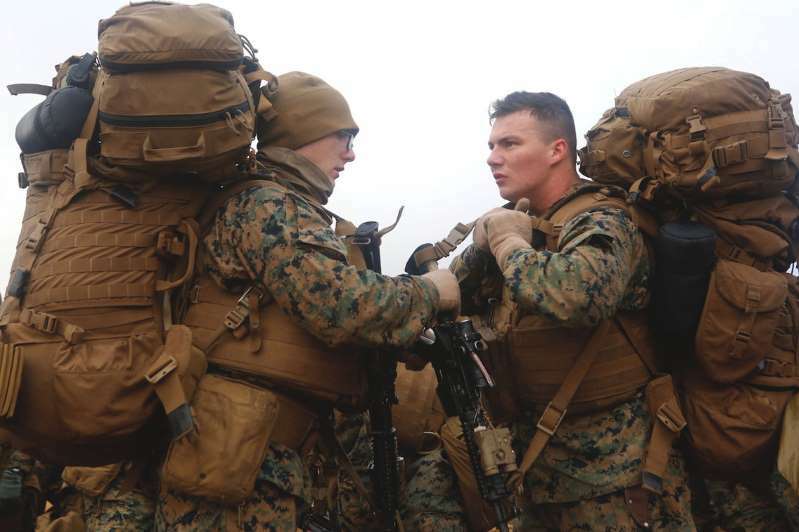 The exercises include some 50,000 troops from 31 countries, including all 29 NATO members. Russia is not happy about the drills but may be most irritated by the involvement of Finland and Sweden, two neighbors who are increasingly close to the alliance. Trident Juncture officially started Thursday, with some 50,000 troops from all 29 NATO members and Sweden and Finland preparing for drills on land, sea, and in the air from the Baltic Sea to Iceland. As a NATO Article 5 exercise, Trident Juncture "will simulate NATO's collective response to an armed attack against one ally," the organization's secretary general, Jens Stoltenberg, said this month. "And it will exercise our ability to reinforce our troops from Europe and across the Atlantic." NATO has increased deployments and readiness in Europe since Russia's 2014 incursion in Ukraine, as countries there have grown wary of their larger neighbor. Stoltenberg has said the exercise will be "fictitious but realistic." But Russia has still taken exception. "NATO's military activities near our borders have reached the highest level since the Cold War," Russian Defense Minister Sergei Shoigu said Wednesday, adding that the exercise will be "simulating offensive military action." But Moscow may be most piqued by inclusion of two non-NATO members, Finland and Sweden, who work closely with the alliance. Those two countries are "very important NATO partners," US Navy Adm. James Foggo, the commander of US naval forces in Europe who is overseeing the exercise, said earlier this month on his podcast, "On the Horizon." "I was just talking to the Swedes last month, and they're pretty excited about it. They've confirmed their participation ... and have committed their advanced military and highly professional forces," Foggo said. "So we look forward to having them on board." Sweden and Finland, both members of NATO's Partnership for Peace, have joined NATO exercises in the past and invited NATO members to their own exercises. 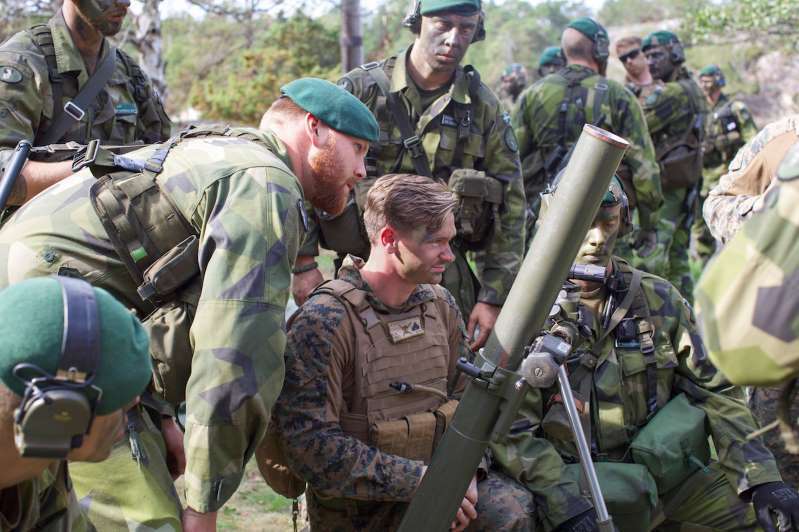 At the end of last year, 19,000 Swedish troops were joined by NATO members in the Baltic region as well as France and the US for Aurora 17, Sweden's largest exercise in 23 years. 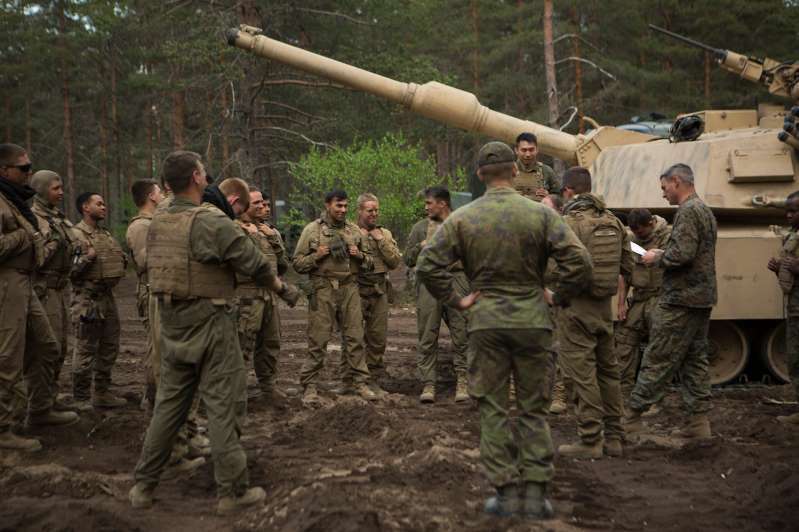 In May, Finland hosted Arrow 18, an annual multinational exercise, in which US Marine Corps tanks participated for the first time. Russian officials have also warned both of them. Shoigu, the defense minister, said earlier this year that a deal between Stockholm, Helsinki, and Washington to ease defense cooperation would "lead to the destruction of the current security system, increase mistrust and force us to take counter-measures." Moscow has specifically reproved Finland, with which it shares an 830-mile border and a history of conflict. In mid-2016, Russian President Vladimir Putin suggested he could move troops closer to the border if Finland joined the alliance. "Do you guys need it? We don't. We don't want it. But it is your call," Putin said at the time. Russia has said "if you guys join, we will take military measures ... to take into account that you two are in the alliance," said Jim Townsend, a transatlantic security expert at the Center for a New American Security. Moscow has carried out "cyberattacks and threatening aircraft maneuvers around Sweden as well," added Townsend, who was deputy assistant secretary of defense for European and NATO policy during the Obama administration. "Both those nations have been bullied by the Russians and warned by the Russians not to do something with NATO." But both Sweden and Finland have mulled NATO membership with varying intensity in recent years. Ahead of Sweden's general election in early September, the four main opposition parties all backed membership - which Stoltenberg seemed to welcome, saying in January, "If Sweden were to apply to join, I think there would be broad support for that within NATO." Public sentiment in Sweden has shifted toward membership, but support rarely tops 45%. (A January poll put it at 43%.) There would also be political and administrative hurdles. A month and a half after the election, leaders in Stockholm are still struggling to form a government, which is already a record. Finns are much cooler on membership. A poll at the end of 2017 found just 22% of them supported joining, while 59% were opposed; 19% didn't give a response. Finnish President Sauli Niinisto has said membership is a possibility, and an endorsement from him may change many minds. 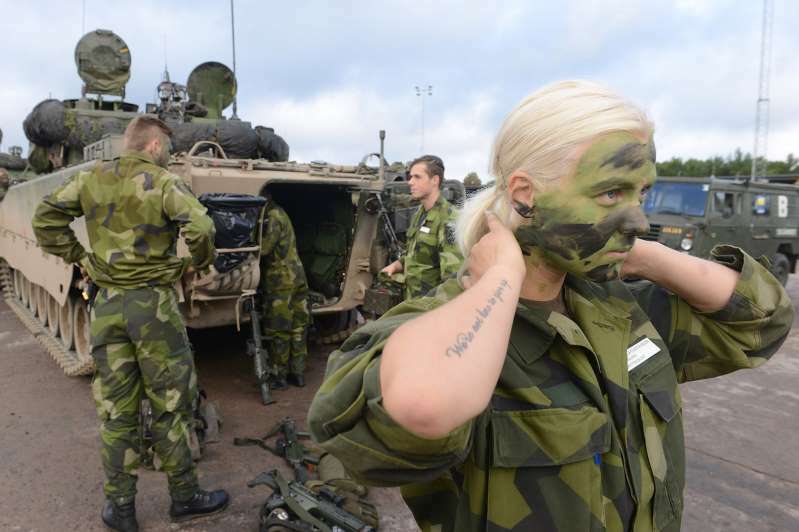 Sweden and Finland, both wary of their larger neighbor, have sought to boost defense spending and upgrade their forces. 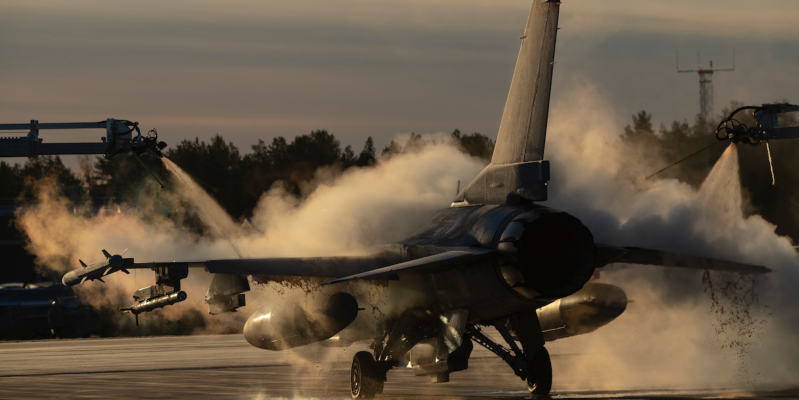 They've made plans to increase defense cooperation with each other, and at least one NATO official has said the alliance has an obligation to come to their defense, as their non-membership increases the likelihood of aggression against them. "Those two are probably the closest partners that NATO has in the Partnership for Peace. You see that in Trident Juncture, where they're part of that NATO Article 5 exercise," Townsend said. "It used to be that those nations wouldn't take part in a major exercise if it was about Article 5, because that was just too close to NATO," he added. "Now they're taking part not just in the Article 5 exercise, but they're taking part in one of NATO's largest exercises in many years."